The Journey continues! 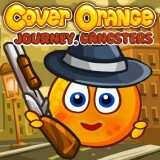 Protect your gangster oranges from the deadly rain. Make sure the fruit is protected from the deadly rain. Use your MOUSE to place all objects and wait for the cloud to pass by.